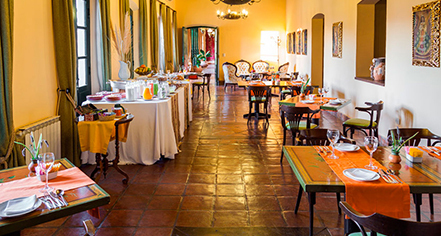 Boasting vibrant cuisine, the restaurant at Patios de Cafayate serve typical dishes of the Salta region of Argentina, utilizing fresh, local produce, including ingredients from the hotel's garden. A large selection of beverages are available to complement every meal, including the exclusive wines from the Bodega El Esteco vineyard. The restaurant is open for breakfast, lunch, and dinner. 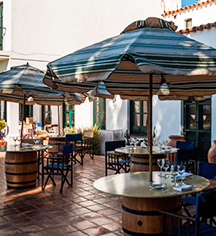 Patios de Cafayate also offers special gluten free dishes.